Build this project at our next weekend-long Arduino workshop! 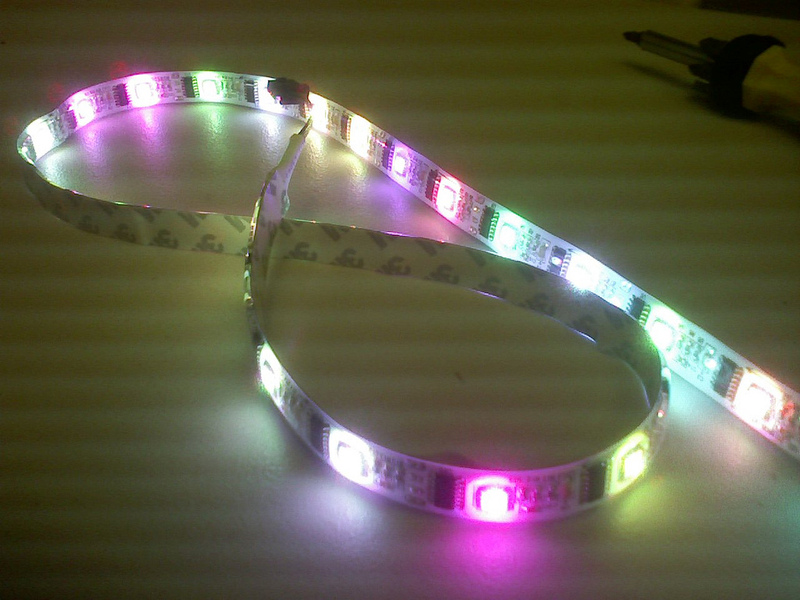 The LED Strip contains up to 160 individually-controllable RGB LEDs. Use them in your lounge or in a club! 1 Arduino. We use the Arduino Uno, but any standard Arduino is appropriate for this project. 1 LED RGB strip. You can get a shorter strip, if you like. The colors of the wires are purely cosmetic; you don’t need to match the colors shown in the diagram. // clock = pin B1. For Leonardo, this can ONLY be done on the ICSP pins. // Chase one dot down the full strip. Good for testing purposes. strip.setPixelColor(i, 0); // Erase pixel, but don't refresh! Hook up a potentiometer to your project and have the potentiometer control the number of lights lit on the strip. Hook up a microphone to your project and have the pattern change with the ambient volume. © 2011-2019 What Will You Learn?, Inc.